The Forsythia is probably the most planted shrub. It is loved or hated. A harbinger of spring and probably the most sold shrub at Garden centres at the end of the last century. At the same time, the Forsythia is the most maltreated shrub around. The problem is that it can easily reach 10 feet (3m) on the right soil and that’s too big for most gardens. The majority of gardeners uses hedge trimmers to make the shrub smaller resulting in ugly balls and other topiary monsters. So don’ t shear a forsythia but just let it grow into its natural vase form. The best way to prune it is to remove the oldest canes close to the ground. As a general rule, you can remove one-third of the old growth and it will reward you with a dashing show every year. Its harsh yellow colour is not everyone’ s cup of tea, but on a large scale, it can be very impressive. 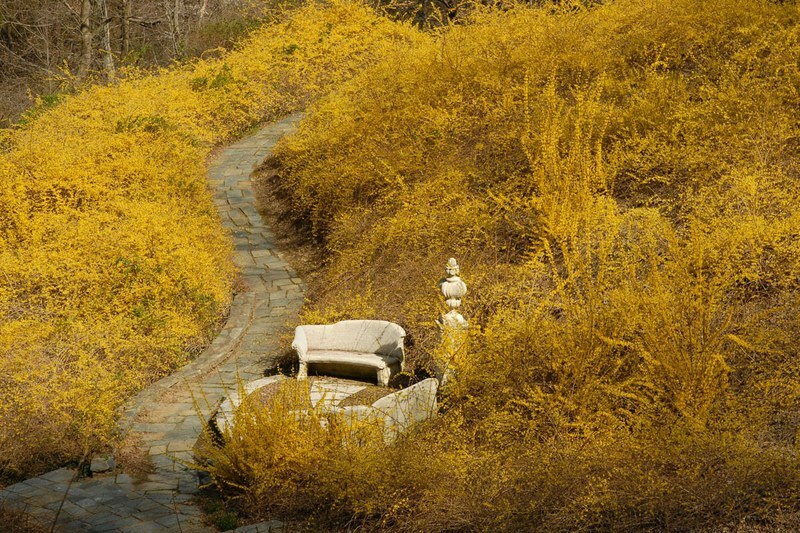 The famous American landscape designer Beatrix Farrand designed a Forsythia Dell at Dumbarton Oaks. I really like Forsythia suspensa or weeping forsythia. Its long thin bending canes which also reach ten feet can be used as a climbing plant. 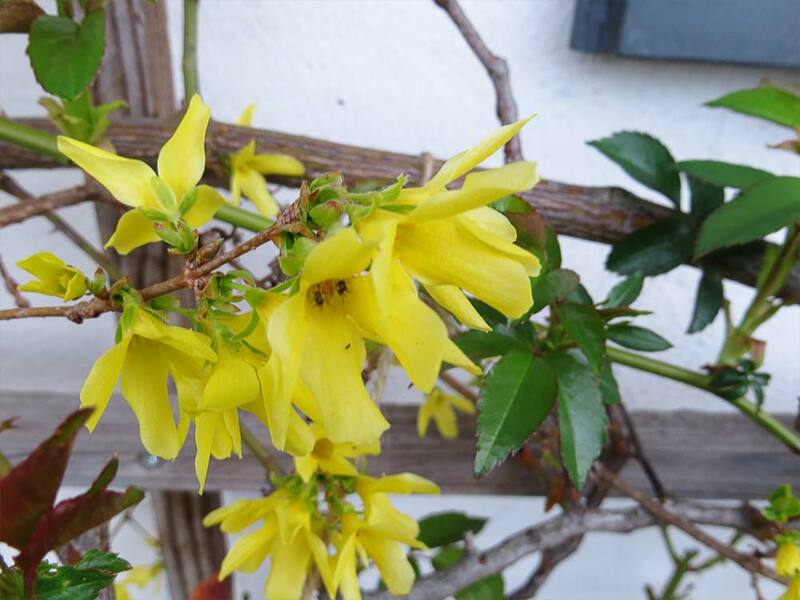 Its modest lemon yellow flowers enjoyed the bright sunny days last week here in Viller. I intertwine it with our climbing ‘Schneewittchen’ rose which takes over in June with a sea of creamy white flowers. There are a lot of pruning shears to keep shrubs like Forsythias under control. The best way to cut woody stems and dead twigs are by using an Anvil pruner which has one straight blade onto a flat edge or ‘anvil’. 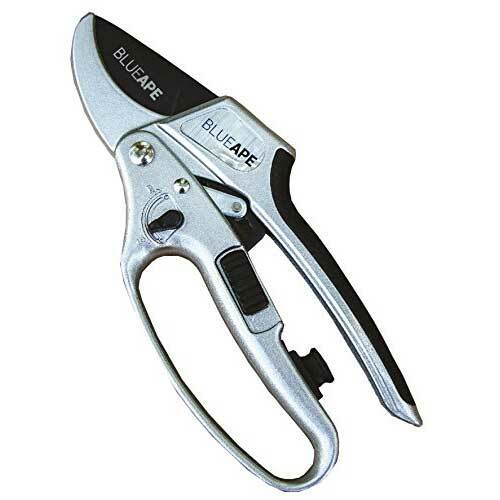 For thicker stems, it is handy to use a ratchet pruner which has a clever mechanism to make this job far easier. 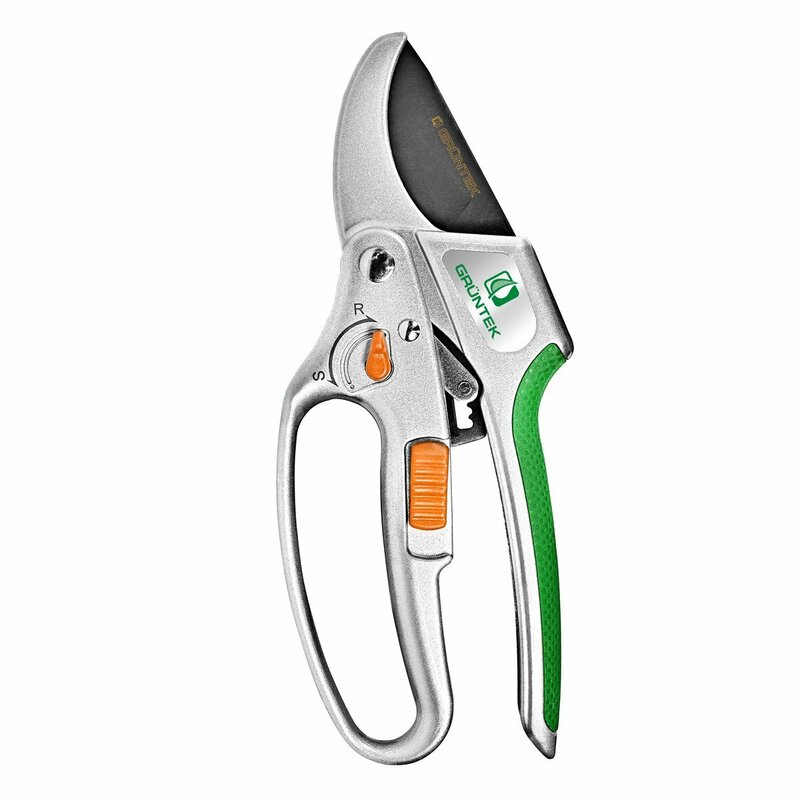 This implies that you need two pruners to do the job but her in Viller the Garden I use only one anvil pruner which can do both. 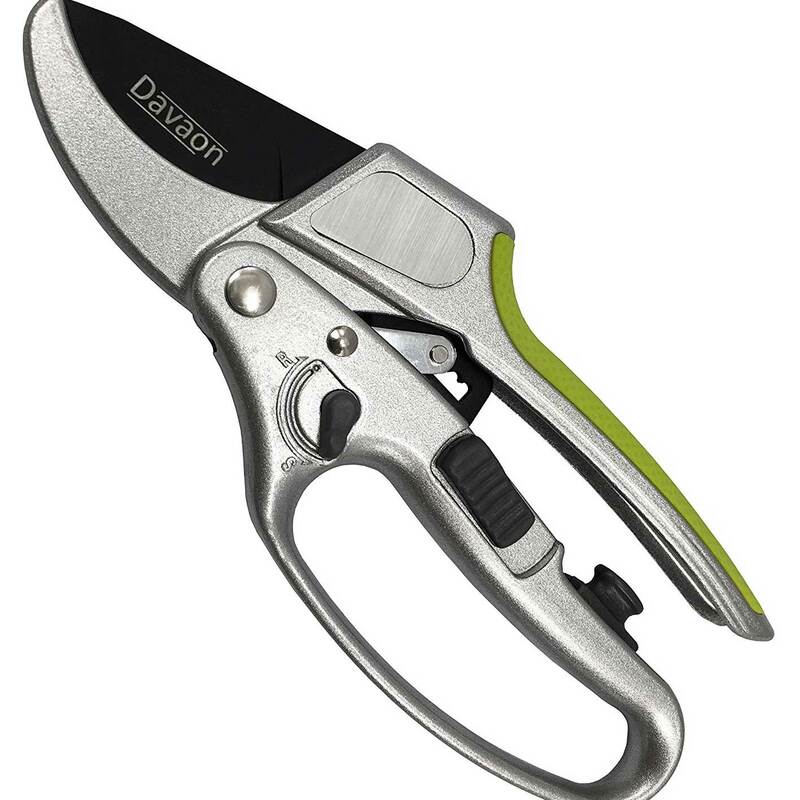 The Deavon Pro Switch 2 in 1 Ratchet hand Secateur has a unique switch from rachet to single cut mode. The only disadvantage is the small oil sponge which is integrated into one of the handles and which can easily fell off (I lost mine). So I recommend to take it off and store it somewhere to use it when the pruning job is done. By the way, Davaon Limited offers an excellent customer service if by any chance your garden tool isn’t working properly. 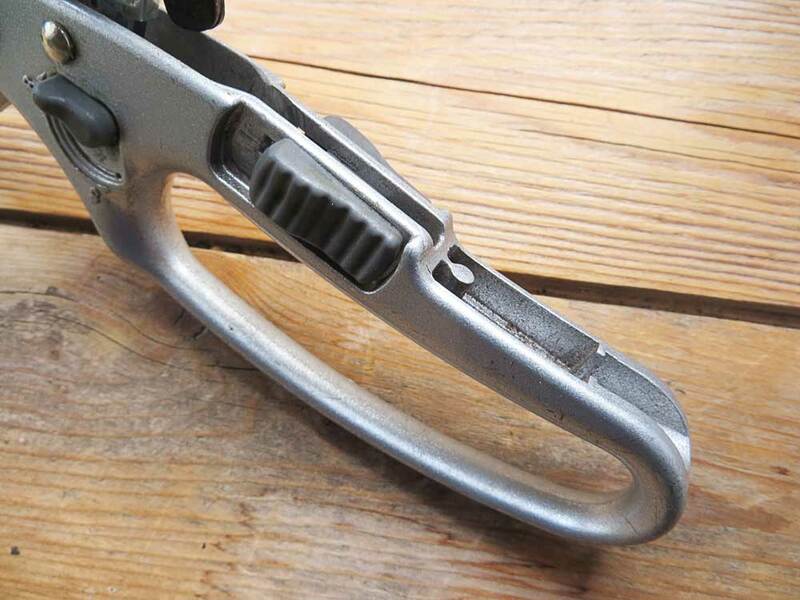 Important though is to clean your secateurs after use and to oil the moving parts occasionally. 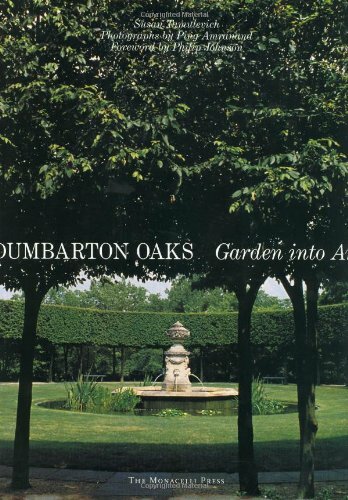 There are only a few books on the gardens of Dumbarton Oaks and most are pretty outdated. Most noteworthy is a lovely book which The Monacelli Press released on the garden in 2001 and available as paperback or hardcover. It features more than hundred colour photographs which were shot over more than a decade.